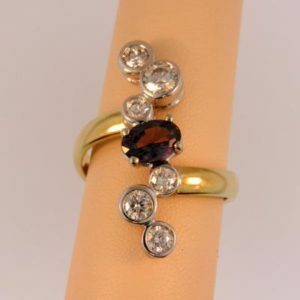 Sapphire and diamond rings are our best selling item- they are elegant, durable, and classy. 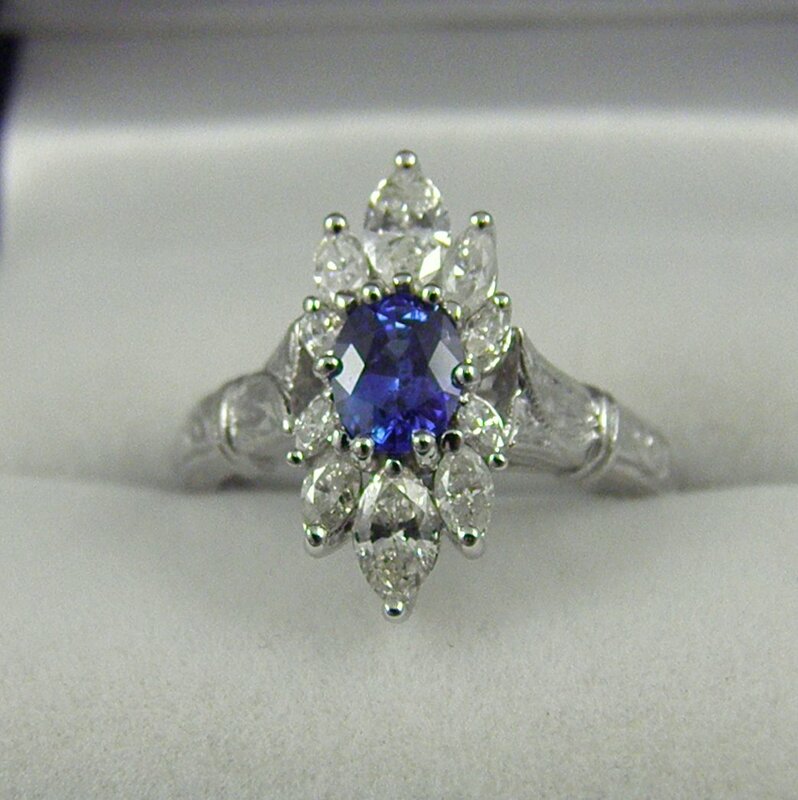 This estate mounting is set with large marquise diamonds flanking the gemmy Ceylon Blue Sapphire with hand carving to give the ring a vintage flair. 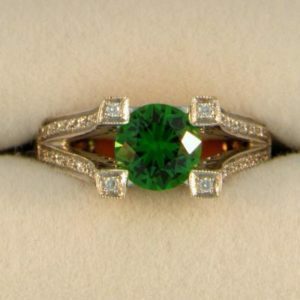 While the ring has a large presence on the hand, the gems are set low enough that this could be an everyday ring. Details: 14k white gold ring with 1.10ct oval Blue Sapphire and .80ctw diamond accents (SI GH).